Kerala Public Service Commission will be Announced Last Grade Servant Notification 12th May 2017. Last date of receipt of applications :14/06/2017 Wednesday upto 12 midnight. Qualifications:- Should have passed standard VII and should not have acquired any graduation. As per this notification candidates possessing any degree (including Graduation certificate from military service) are ineligible for this post. If applications are submitted contrary to the above direction by suppressing the fact and if he/ she is found selected, his/her applications will be summarily rejected, his/her name will be removed from the ranked list and disciplinary action/ punishment including removal from service will be taken aganist him/her at any stage of selection. 2. Watch woman in the welfare institution under social Justice Department. 3. Cleaner and Sewer cleaner in the public Works Department. 4. Gate keeper Gr.II and Lascar Gr.II in the printing Department. Women candidates are not eligible for appointment in the following posts. 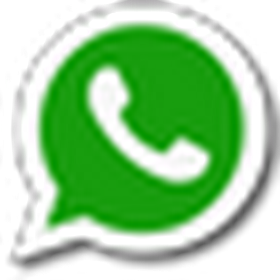 Differently abled candidates are not eligible for the following post. 'Watch woman ' in the Welfare Institution under Social Justice Department will be filled up from the woman candidates only. Any other posts indentified for woman candidates will be filled up from the woman candidates after obtaining willingness. Persons professing the Hindu faith will alone be appointed to the posts in the Hindu Religious and Charitable Endowment Departments. Vacancies for Last Grade Service in Kerala Municipal common service will also be filled up from the Ranked List prepared for each district in pursuance of this notification without obtaining willingness from the candidates. Common ranked list will be prepared for the various posts in the Last Grade Service in pursuance to this notification in each district. Only one application need be sent for the post noting the name of the post applied for as Last Grade Servants. 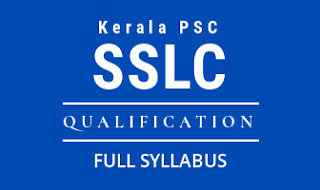 Candidates must register as per “ ONE TIME REGISTRATION” with the Official Website of Kerala Public Service Commission 'www.keralapsc.gov.in' before applying for the post. Candidates who have registered can apply by logging in to their profile using their User-ID and password. Candidates must click on the `Apply Now' button of the respective posts in the Notification Link for applying to a post. The photograph uploaded should be one taken on or after 31/12/2010. Name of the candidate and the date of taking photograph should be printed at the bottom portion. The photograph once uploaded meeting all requirements shall valid for 10 years from the date of uploading. There is no change in other instructions regarding the uploading of photographs. No application fee is required. Candidates shall take a printout of the application by clicking the link Registration Card in their profile. Candidates are responsible for the correctness of the personal information and secrecy of password. Before the final submission of the application on the profile, candidates must ensure the correctness of the information on their profile. They must quote their User-ID for further communication with the Commission. Application submitted is provisional and cannot be deleted or altered after submission. The Application will be summarily rejected if noncompliance with the notification is found in due course of processing. Documents to prove Qualification, experience, Community, age etc. have to be produced as and when called for candidates who have Aadhar Card should add AADHAAR card as ID proof in their profile. If Written Test/OMR Test is conducted as a part of the selection Admission Tickets of eligible candidates will be made available in their profile for one time Registration and the date of downloading will be included in the Examination Calender. Candidates can download Admission Ticket for 15 days from this date. Candidates who have downloaded the admission tickets will alone be permitted to attend the examination.